Melbourne-based syndicator Quintessential Equity has pulled together a $110 million so-called “blind fund” from its network of investors, in a move rarely executed since the global financial crisis. In effect, Quintessential’s investors have committed the equity to a fund that is yet to purchase or identify any specific commercial properties. Factoring in leverage, the equity firepower gives Quintessential the capacity to assemble a portfolio of as much as $200 million in commercial property. The raising, unusual in the more cautious environment that has pervaded the property sector over the past decade, was completed in less than two months. But the speedy raising did not signify any return to the days of easy money, said Quintessential’s director of investor relations, Harry Rosenberg. “Most of the capital came from investors already in our existing individually syndicated commercial properties, so it’s really a sign of their faith in us,” he said. To be known as the Quintessential Equity Master Fund, the vehicle will also be able access bank finance where to boost its purchasing power, Mr Rosenberg said. “This is an opportunistic fund that can move quickly for vendors who want to sell. “Unlike residential loans, commercial property loans need to be refinanced every few years. Led by chief executive Shane Quinn, Quintessential has proven itself to be a busy trader in recent years, often venturing into less-loved markets to secure bargains before leasing them up. In September last year Quintessential bought a Barton office block in Canberra for $16.5 million from the Motor Trades Association of Australia, an asset that was 40 per cent vacant. 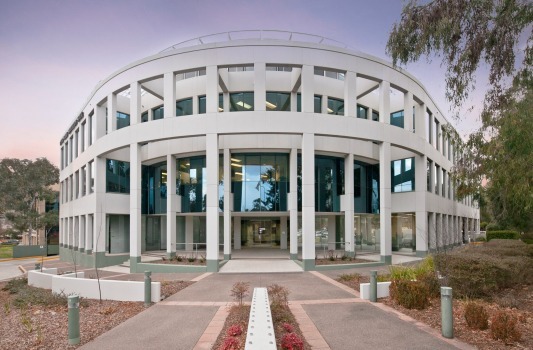 In June last year it secured a windfall for its high-net worth investors after selling a Canberra office building for $58.4 million to Asian investors, having paid $14 million for it five years earlier. The uplift came after an extensive refurbishment of the 12,377sq m Woden Town Centre building followed by Quintessential’s securing of ACT Health as an anchor tenant on a new 15-year lease.